If it's not yours, it will never be yours. 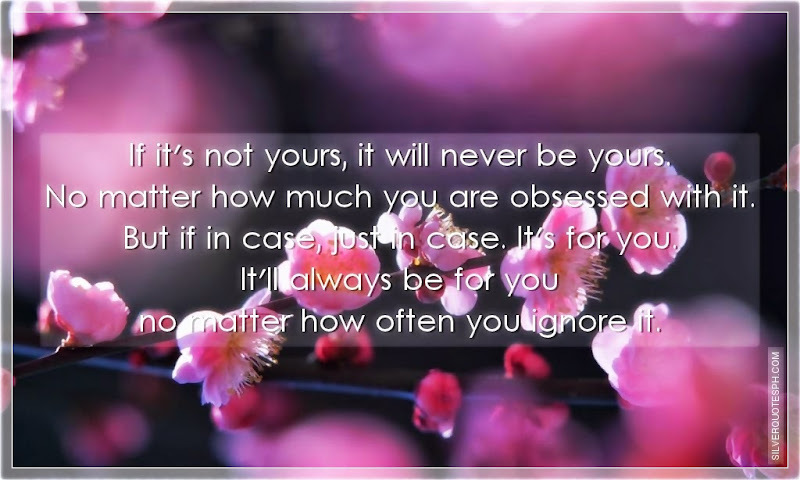 No matter how much you are obsessed with it. But if in case, just in case. It's for you. It'll always be for you no matter how often you ignore it.